The monthly Bank of America's Museums on US program is held for this month on March 1 and March 2, 2014. You can visit more than 150 arts, culture and educational institutions in the United States free with a Bank of America and Merrill Lynch debit or credit card. Las Vegas Natural History Museum, DISCOVERY Children's Museum, and Las Vegas Springs Preserve are the participating museums in Las Vegas. 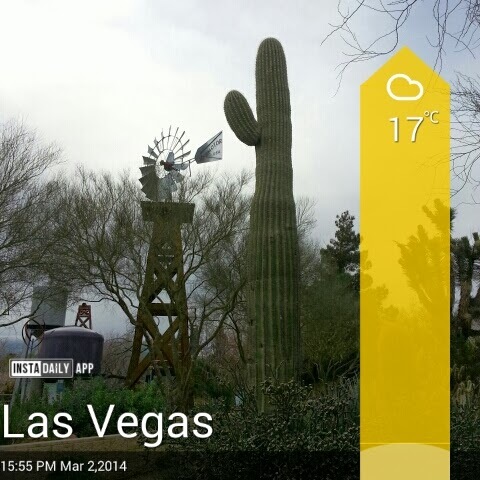 I took this opportunity to walk around the Springs Preserve and found the weather pleasant. 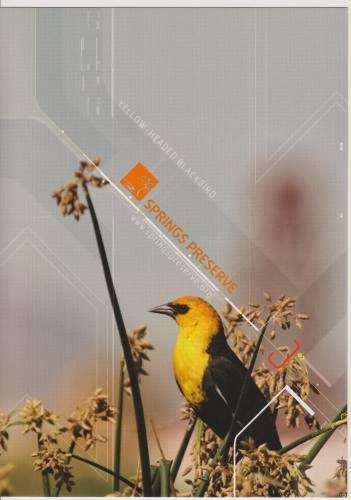 Postcard US-1650748 to Belarus was produced by the Springs Preserve, showing a Yellow-headed Blackbird (Xanthocephalus xanthocephalus). It is a medium-sized blackbird with a pointed bill in adults. The adult male has a mostly black body but a bright yellow head and breast. The adult female is mainly brown with a dull yellow throat and breast. Their breeding habitat is cattail marshes mainly located west of the Great Lakes. They migrate to the south western United States and Mexico in the winter. That's when we can see them in Nevada.